Learn how to get tickets to Short North Stage's performance of the famous musical Mamma Mia! Left to Right: Jesika Lehner as Rosie, Broadway's Jodie Langel as Donna, and Tonyia Rue as Tonya. Dancing queens in Columbus rejoice. The famous musical Mamma Mia! 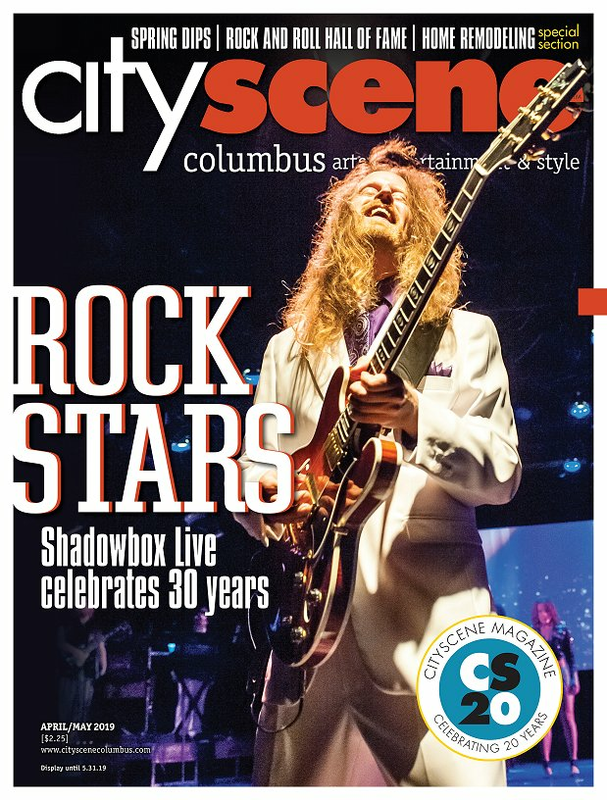 will rock the Short North Stage this December, and opening night is this weekend. The original Mamma Mia! production was created in 1999. The songs were based on the music by the pop group ABBA. The musical ran on Broadway for 14 years, making it the ninth-longest-running show in Broadway history. The dramatic and comedic plot takes audience members on quite the journey. The lead character, Sophie, is hoping to find her biological father before her wedding day so he can walk her down the aisle. After some sleuthing, Sophie invites three men she suspects might be her father to her home town, and just days before the wedding. The plot thickens as Sophie’s mother has to reunite with the men and relive her past, all while Sophie tries to discover which man is her father. ABBA’s music was rearranged for the musical, and after Mamma Mia! premiered on West End in London, ABBA’s album ABBA Gold shot to the top of the UK music charts. The musical sparks nostalgia from ABBA’s smash hits while also telling a fun story. The Short North Stage is a professional theater company in the Short North Arts District. Their performances have included one-act plays, Broadway classics, dances, cabarets and more. They own three venues: The Garden Theater, Ethel’s Lounge and the Green Room. The Short North Stage aims to expand their influence nationwide. They love to celebrate smaller, less well-known works and bring them to a new audience. Some of their past performances include The Toxic Avenger, Vampire Lesbians of Sodom and Stephen Sondheim’s Assassins. The Short North Stage’s Mamma Mia! runs from Dec. 6-30 and will take place at the Garden Theatre, located at 1187 N. High St. Tickets can be purchased at www.shortnorthstage.org. Prices range from $30 to $44.